China’s government extends the reach of hepatitis B vaccination nationwide and blocks a looming liver cancer epidemic. In one of China’s poorer western provinces, a middle-aged woman suffers from flu-like symptoms. She delays seeking medical attention due to the costs of transportation and of medicine. By the time she receives care, it will be too late—her symptoms signal not influenza but advanced liver cancer, caused by the hepatitis B (hep B) virus. She will live just a few months, at most a few years. Her story is far too common in China, home to the largest burden of hep B in the world. Of the 350 million people living with chronic hep B, three-quarters reside in Asia and the Western Pacific.source Hep B is endemic in China, and most Chinese become infected when they are young. As a result, 93 million Chinese carry the chronic hep B infection, causing 250,000 to 300,000 hep B–associated liver cancer deaths every year.source Although there are treatments for diseases caused by hep B, they are often unavailable where hep B is prevalent and costly. The road to hep B control therefore lies in prevention. As a model for public health prevention, the China-Gavi Program offers relevant operational lessons on how to tackle inequity by building bridges between underserved people and lifesaving technologies. 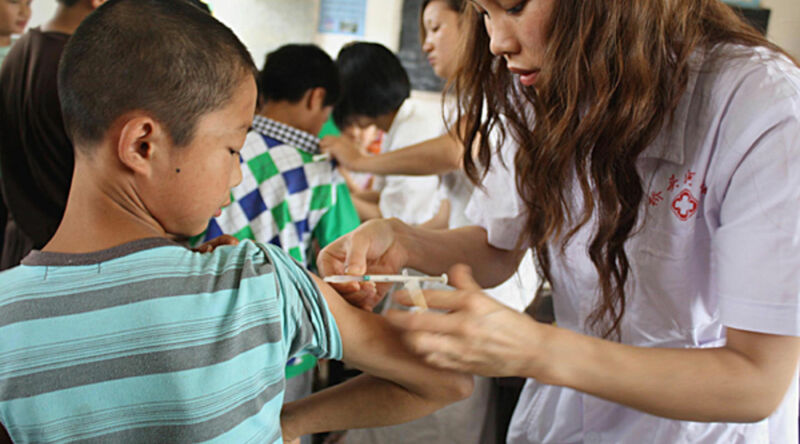 The China-Gavi Program built on existing Chinese government hep B vaccination efforts, considerably extending the preexisting program’s reach. National commitment to the China-Gavi Program and focused attention on the most underserved areas were critical to its success. As were its innovative strategy to procure vaccines and syringes from local suppliers, which helped increase the program’s cost-effectiveness, and the program’s management setup inside China’s National Immunization Program. The China-Gavi experience illustrates how a relatively short-term program can catalyze large-scale change and national commitment. It also sheds light on how global health funders like Gavi can leverage their comparative advantages to achieve massive impact in middle-income countries. Gavi support—by providing a modest amount of resources for activities—stimulated policy changes on fees and the regulation of domestic manufacturing. These lessons may aid the rollout of other “new generation” vaccines, such as for pneumococcal disease, in countries that will also soon graduate from Gavi support.